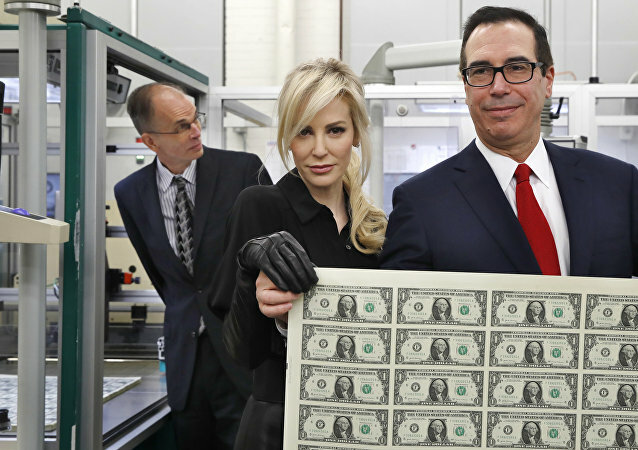 In the worst Christmas Eve drop in the history of the US stock market, the DOW, falling 653 points, sent shockwaves through world markets even as financial experts noted the strange and confusing comments of US Secretary of the Treasury Steve Mnuchin. A growing number of people are reporting that Bank of America has either frozen or threatened to freeze their accounts if they don’t provide the bank with information about their legal status in the United States. But as outrage grows, the bank has begun unfreezing accounts, admitting there’s no law or regulation requiring the practice. On today’s episode of Double Down, Max Keiser and Stacy Herbert talk to Michael Krieger about Bank of America’s surprising admission that they may not be able to compete with bitcoin. Wary of the risks of dealing with cryptocurrencies, the Bank of America, JP Morgan Chase, Citigroup and several other major financial institutions are backing away from using virtual coins in their transactions. The skyrocketing price of Bitcoin in recent years is likely to undergo the economic bubble like Tulip mania in the Netherlands at the beginning of the 17th century, says expert Zhou Wuying, Economic Information Daily reported on Aug. 14. If it was prank, they didn’t find it funny: a dummy $20 bill showed up in the stack of cash retrieved by a customer from an automated teller machine on Monday. Citigroup is exiting its mortgage business, a precedent which could be potentially followed by other banks as both Wells Fargo and Bank of America earlier reported declines in mortgage applications, whilst Wells Fargo’s mortgage servicing rights (MSR) declined in value after the Fed interest rate hikes. Comcast, one of the largest broadcast, cable TV and internet service providers in the US, remains the country’s most hated company, a title it also earned in 2010 and 2014. Bank of America, Mylan, McDonald's, Wells Fargo and Facebook are close behind in consumer castigation. The $430 million fine imposed by the US Securities and Exchange Commission (SEC) on the Bank of America for misusing its customers’ deposits still leaves the giant bank with huge profits and the motive to carry out similar offenses, analysts told Sputnik. Merrill Lynch agreed to pay $415 million and admit that it mishandled customer funds to finance its own risky activities, the US Securities and Exchange Commission (SEC) said in a statement on Thursday. 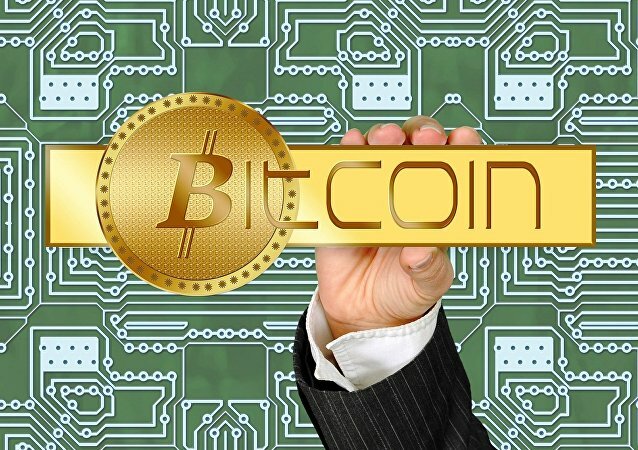 Bitcoin, the cryptocurrency created by mysterious libertarian hacker Satoshi Nakamoto, has ended up helping top bankers trade more quickly and more efficiently. 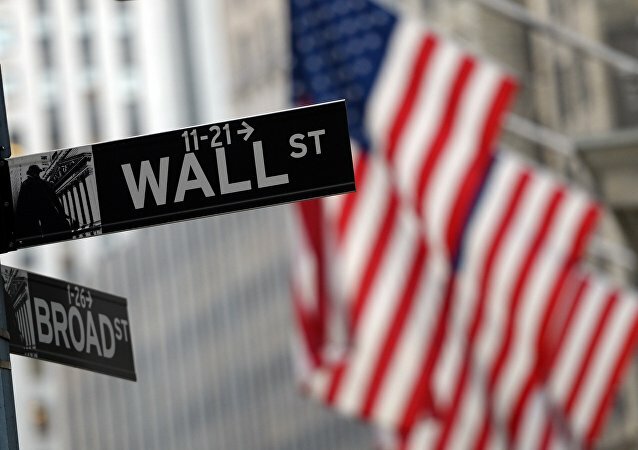 The relationship between Washington and Wall Street dates back decades, and American politicians are essentially paid agents of big banks, author and journalist Nomi Prins told Radio Sputnik's Brian Becker. The US bank, Goldman Sachs, agreed to shell out some $5.1 bln for having mislead bond investors and allegedly triggering the mortgage meltdown in 2007, ending the feud between them and the Justice Department, however, at a cost of higher risks when doing business and shrinking economic freedom. Crude has already dropped to $30 a barrel but it is still far from hitting rock bottom. Analysts and traders predict $20 per barrel which is highly possible due to speculation in stocks and the strengthening dollar. The British government is facing a credibility crisis over its pledge to ensure multinational corporations pay their fair share of tax, after it was revealed that five of the world's largest investment banks paid no corporation tax in Britain last year, despite making billions in profits. Right on the heels of the Occupy Wall Street movement’s four year anniversary, activist group Anonymous has launched a new campaign which they say outlines an “easy” way for the 99% to demonstrate their strength and overcome the richest 1%.